According to information released by Statistics Estonia on Wednesday, the number of foreign passengers, domestic passengers and freight volumes in tons served by Estonian ports in 2017 increased by three, seven and three percent on year, respectively. 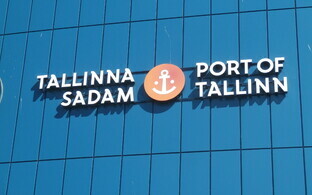 Last year, a record number of passengers used the services of Estonian ports. In 2017, nearly 10.9 million passengers visited Estonian ports by international transport, up three percent compared to 2016. The growth was due mainly to a gradual increase in the number of passengers traveling between Estonia and Finland, which reached 9 million. 160,000 more passengers arrived from Finland and 114,600 more passengers departed to Finland on year. 1.3 million passengers were transported by sea between Estonia and Finland last year, indicating an increase of seven percent on year. 592,300 cruise passengers arrived by sea, i.e. 19 percent more than the year before. Three out of four passengers used Estonian ships in international sea traffic. The number of passenger ship calls at Estonian ports in international sea traffic totaled around 6,170, or one percent fewer passenger ships than in 2016, including ro-ro passenger ships. A total of 326 cruise ships called on Estonian ports, up from 285 in 2016. Approximately two million vehicles, excluding transit vehicles, were served by ports on international routes last year, 71 percent of which were passenger vehicles and 26 percent of which were trucks and trailers. Around 2.4 million passengers were transported on Estonia's primary domestic shipping routes, up seven percent compared to 2016. The number of departures also increased from over 15,200 trips in 2016 to over 16,100 in 2017. These domestic routes served 1.02 million vehicles, 85,700 more than in 2016. In 2017, Estonian ports handled 34.8 million tons of cargo, which is 3 percent, or 1.2 million tons more than the year before. 23.5 million tons of goods were loaded and 11.3 million tons of goods were unloaded in Estonian ports in 2017. 4 percent more goods were loaded and 2 percent more goods were unloaded than in 2016. In 2017, 114 more cargo ships called at Estonian ports than in 2016. The average gross tonnage of cargo vessels totalled about 11,100. Transit goods were loaded and unloaded in ports in the amount of 17.9 million tons last year, down one percent compared to the year before. 12.7 million tons of transit cargo were loaded and 5.1 million tons unloaded at Estonian ports. The most frequently handled group of transit goods at Estonian ports was refined petroleum products (11.4 million tons), although the transport of these products decreased by five percent on year. The loading and unloading of chemicals and chemical products as transit goods amounted to 4.7 million tons, up five percent on year. In addition to transit goods, 10.7 million tons of goods were transported abroad through ports and 6.2 million tons of goods arrived at Estonian ports, which is respectively nine and ten percent more than in 2016. Goods transported abroad via the country's ports were mainly a mixture of types of goods transported together (3.1 million tons) and products of forestry and logging (nearly 2.2 million tons). Goods that arrived at Estonian ports included primarily a mixture of types of goods transported together (3.1 million tons) and products of mining and quarrying (1.4 million tons). Sea container transportation through ports, expressed in twenty-foot equivalent units, or TEUs, increased by 13 percent compared to the previous year, amounting to around 230,400 TEUs in 2017. 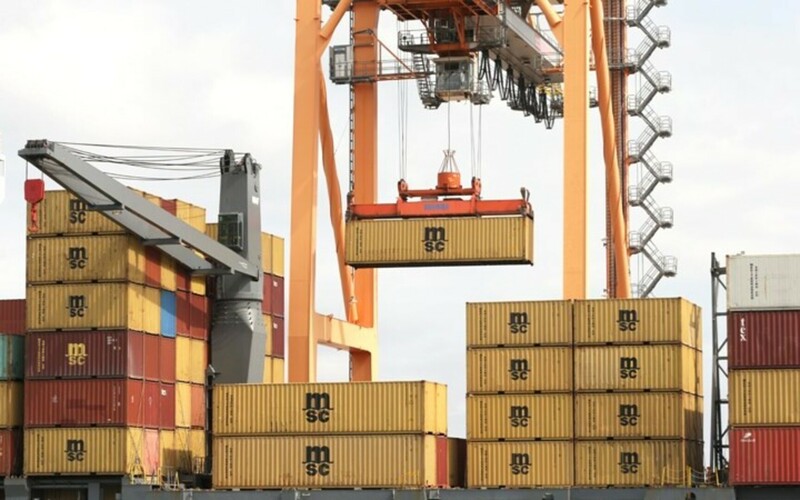 The number of containers shipped out of Estonian ports on vessels totaled around 111,900 TEUs, while the number received at Estonian ports totled nearly 118,500 TEUs.